Our very own Ben Newhouse recently received a Berklee College of Music Distinguished Faculty Award. This awards program recognizes the best of Berklee’s teachers for the influence they have on the development of our students and their part in maintaining the college’s commitment to educational excellence. 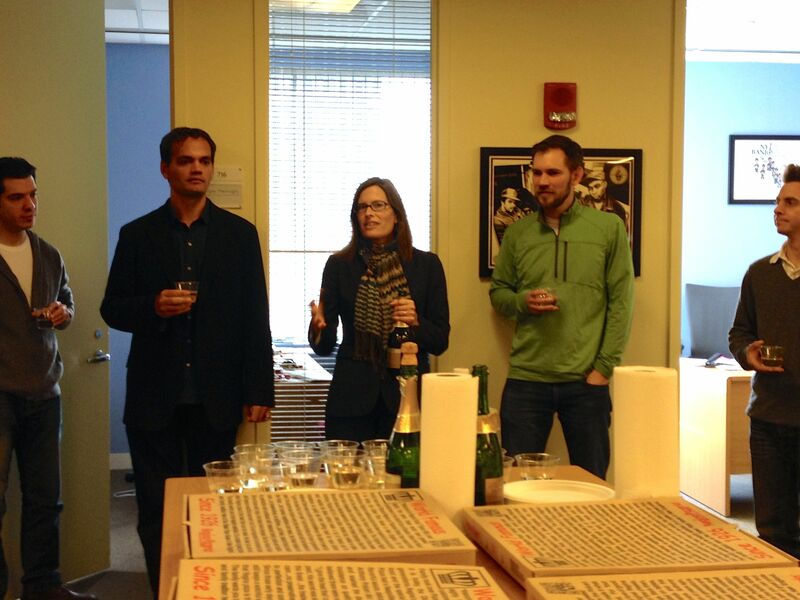 We had the opportunity to toast Ben and his award with sparkling wine and pizza here in our Boston office. Below is a photo of Dean Carin Nuernberg leading our team in the toast!